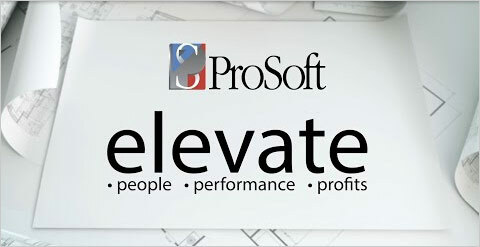 Join ProSoft as they celebrate the 10th Anniversary of their ProSoft PowerLaunch 2019 in Salt Lake City!! This is one of the biggest Autodesk reseller events in the country!! Additional dates & agendas coming soon!! ProSoft is the leading provider of custom design workstation solutions optimized for maximum performance with today's demanding design software. And now with ProSoft’s new Generation Nine Eclipse Workstations, you can increase your speed up to 10% faster!! Whether you tweet, post, vlog or blog we’ve got you covered. Subscribe today to ProSoft’s social media outlets and stay in touch with the latest industry news. Software solutions including Autodesk software and custom ProSoft tools for the AEC industry. High performance hardware for high performance design. ProSoft offers personalized, industry specific solutions for all of your design needs. Webinars, training classes, user groups and live events. Find out where ProSoft will be next! Get in touch and stay in touch. Use our interactive contacts page to communicate with ProSoft’s incredible team. Free resources including Autodesk training, webinars, and tutorials to elevate your People, Performance and Profits. Create a support ticket that will be sent immediately to ProSoft’s support/technical team. From drone to data to decisions, Site Scan™ is designed for the field professional and integrated with your existing workflow.